Holiday traditions are unique to every family. As kids, we love their consistency. We adults do too, but sometimes we get the urge to freshen things up a bit. To upgrade from, say, repeated viewings of A Christmas Story (“You’ll shoot your eye out!”) to bonding while you snowshoe at Castlewood Canyon, just down the road from Stepping Stone. So in the spirit of shaking things up a bit—in a good way—here are some fresh ideas for enjoying this holiday month. Of course your mother’s latkes are the best. But would it be so wrong to check out the competition? At Temple Micah’s 7th Top Latke Taste-off & Hanukkah Party, traditional and innovative patties are just part of the fun. Enjoy a light buffet dinner, balloon sculpting, face painting, dreidel-spinning contest, communal candle lighting, and a concert with the Shabbat Jam Band. Prices vary. Early RSVPs advised. Reserve at http://www.micahdenver.org. Or contact Elaine Lee, 303-388-4239 x1, or elaine.lee@micahdenver.org. Learn more. 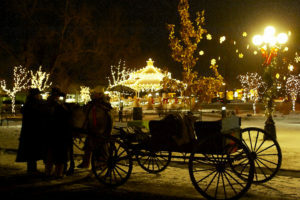 Downtown Parker is magical this time of year, and a horse-drawn carriage ride is an essential part of the experience. Take a free ride any Saturday between Thanksgiving and Christmas from 4:30pm to 8:30pm. Carriages pick up and drop off at PACE Center and the O’Brien Park parking lot. No tickets required; first-come, first-served. 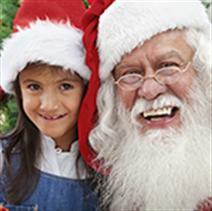 Rides can include a visit with Santa at the PACE Center on 12/6, 12/13, and 12/20 from 5-8pm. Learn more here or contact Erin Atkinson at 303.841.3253. 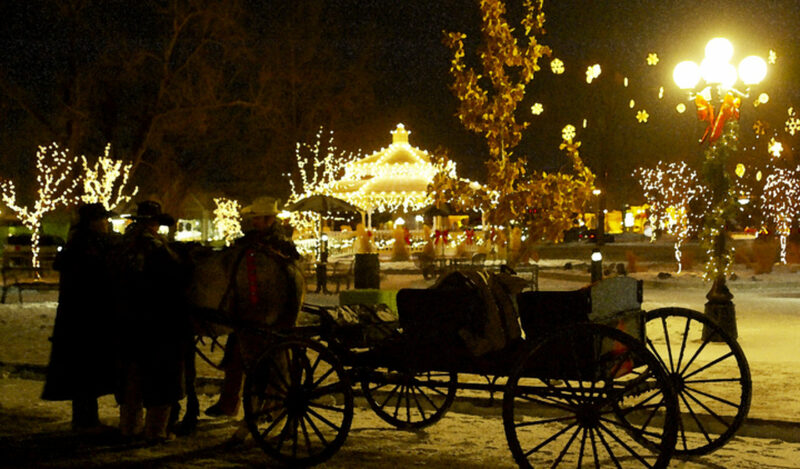 Another beloved Parker tradition, this free annual event includes an all-equestrian parade of dozens of horse-drawn carriages, wagons, surreys, and stagecoaches from across Colorado, all dressed up for the occasion. The whole family will enjoy two holiday markets, a petting zoo and pony rides, ice sculpting, and pictures with Mr. and Mrs. Claus. 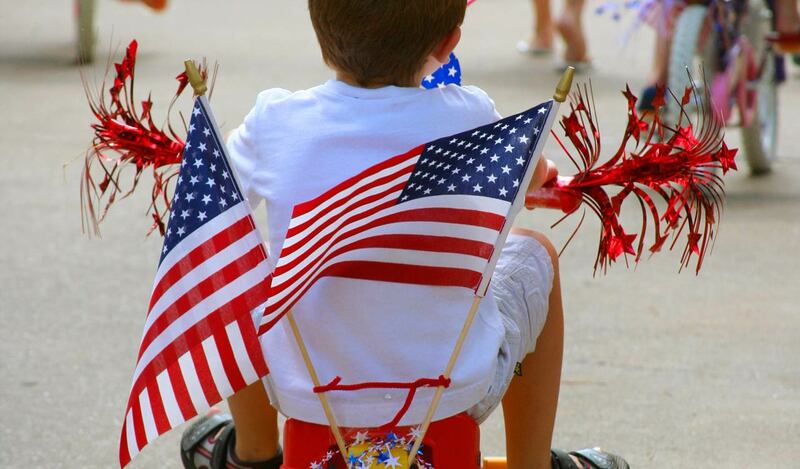 The ice sculpting, petting zoo, and pony rides begin at 11am. Pictures with Santa are from 1pm-3pm and cost $5, cash. Held on Mainstreet in Old Town Parker. Learn more. Milk and Cookies with Santa – Dec. 14, 1pm-2:30pm. Bring your camera, because you’ll want to capture the your child’s wonder at sharing Christmas cookies and milk with the big man himself. Santa’s a busy guy this time of year and space is limited, so please register early. Held at the Parker Fieldhouse. $10 for residents; $14 for nonresidents. Learn more. On the third night of Hanukkah, bring your menorah and savor an evening of food, fun, music, stories and traditions like menorah lighting. Hosted by the Colorado Hebrew Chorale and Stories on Stage, this free event is held indoors at the McNichols Building, in Denver’s Civic Center Park. RSVPs appreciated so they’ll know how much chocolate gelt to bring. Call 303-355-0232 or email coloradohebrewchorale@yahoo.com. Learn more.